HomeBooksM Is For Manger – 2016 Selah Award Winner! 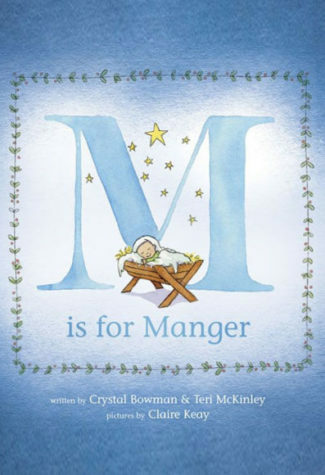 Home / Books / M Is For Manger – 2016 Selah Award Winner! Travel through the alphabet with this beautiful rhyming storybook that tells the story of Jesus’ birth. Begin with the angel who tells Mary that she is God’s chosen vessel and follow along until you reach the zillions of stars that paled in comparison to the star that announced the birthplace of the newborn King. Beautifully illustrated and written, this book will be a classic for parents to read to their children every Christmas season.